Folk Alliance director Louis Meyers says the Folk Alliance brings people together through music. Kansas City, Mo., will take on a folksy note next month when Folk Alliance International holds its annual conference at Crown Center. A celebration of all types of folk culture, the event is perhaps a harbinger of bigger things to come. 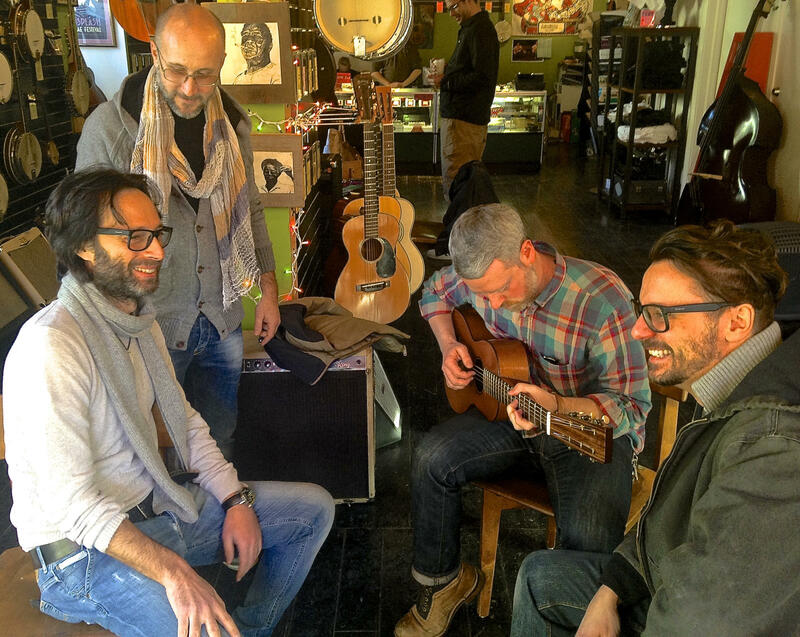 The nonprofit Folk Alliance moved its headquarters from Memphis to Kansas City last summer — and already, the folk connections are building. The group set up its headquarters in Kansas City's River Market and opened a boutique music shop called The Folk Shop on location. Folk music is always representative of a specific community. For example, the folk music of Louisiana is zydeco, while in Minnesota it’s polka. Meyers says centrally located Kansas City houses more folk traditions than anywhere else in the country. “Musicality wise, everything works here. 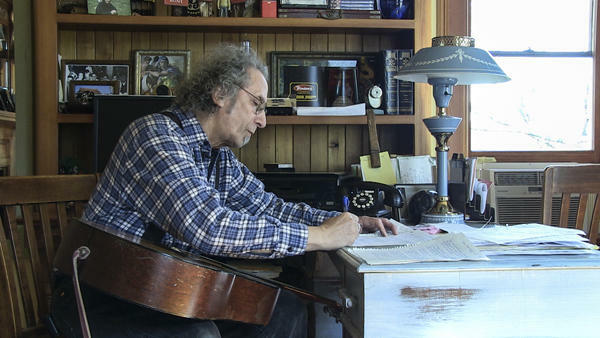 Whether its blues, country, or gospel – it doesn’t matter," Meyers says. "This was a crossroad, people going from south to north and east to west. This feels more like The Crossroads than anyplace I’ve been. This feels more like The Crossroads than The Crossroads in Mississippi where Robert Johnson sold his soul to the devil." That crossroads feeling is part of the reason why the group's International Folk Alliance Conference, now in its 26th year, will be held in Kansas City for the next five years. This year's event at Crown Center on Feb. 19-23. will feature keynote speeches from Graham Nash and Al Gore. As one of the four founders of Austin’s South by Southwest Music Festival in 1987, Meyers is no stranger to the conference circuit. Although he sold his shares of South by Southwest back to his partners in 1995, he says his experience in Austin taught him that large music events create a ripple effect that draw more publishing deals, record deals, booking agents, touring opportunities and music venues to the host city. He believes Kansas City will be no different. The five-day event is expected to draw more than 2,500 folk artists and industry people from around the world, Meyers says. The Kansas City Convention Center & Visitors Association projects a $3.5 million dollar boost to the Kansas City economy. Jon Stephens, president and CEO of The Kansas City Convention Center & Visitors Association, anticipates the conference to deliver less tangible benefits, as well. “Drawing thousands of tourists to Kansas City every year will maximize awareness that Kansas City is a great destination," he says. Mike Burke, chair of Kansas City Mayor Sly James’ Task Force for the Arts and member of the mayor’s Bi-State Innovation Team, believes that the conference will attract new talent to the metro area. “We are in a worldwide competition with other cities for attracting creative talent and technical talent. The folk conference is one more really positive indication that Kansas City is America’s creative crossroads, that we are bringing creative people to Kansas City and many of them elect to stay here,” he says. 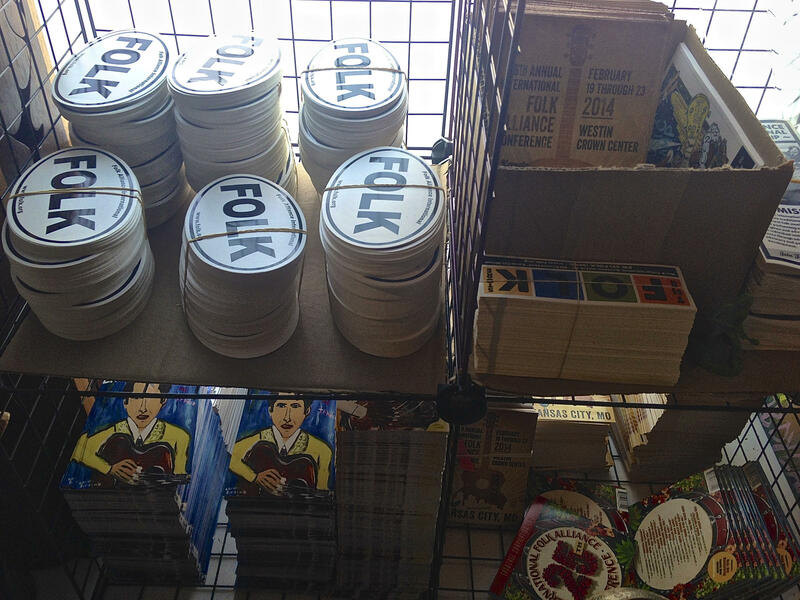 The Folk Store in the River Market area of Kansas City, Mo., features acoustic folk instruments, sheet music and other folk music items. The Folk Alliance visited 32 other cities before deciding to make Kansas City its new home, Meyers says. They considered cost of living, quality of life, accessibility via the airport, and ground transportation. Kansas City, Meyers says, fit all of the criteria almost perfectly. Meyers was also pleased with Kansas City’s civic devotion to the arts, myriad music venues, and saturation of noncommercial media. Though the most important factor, he says, is that Kansas City is a happy town. "People who live here may not realize that if they haven’t lived in other places, but this is a positive city. We could sense that on our first site inspection, which is a lot of why we chose Kansas City,” he says. Meyers says they will not measure Folk Alliance’s success in Kansas City solely on the conference, but consider the conference as a way for people to come together and celebrate folk music. "We hope to affect people almost every day," Meyers says. "Our long term goal here is to turn the store into a Folk Center where the bluegrass and the Celtic and the blues and the reggae and the zydeco can come together on a local level." Registration for the International Folk Alliance Conference is still open; updates and showcase information can be found at the Folk Alliance website. For the past 20 years, the nonprofit Folk Alliance International has promoted and celebrated folk music. The organization relocated last year from Memphis, Tenn., to Kansas City, Mo. And, later this month, nearly 250 artists, from Sam Baker to Chuck Mead & His Grassy Knoll Boys, are scheduled to perform in about a dozen venues in Kansas City during the group's annual conference.